Classic Design. Modern Tech. 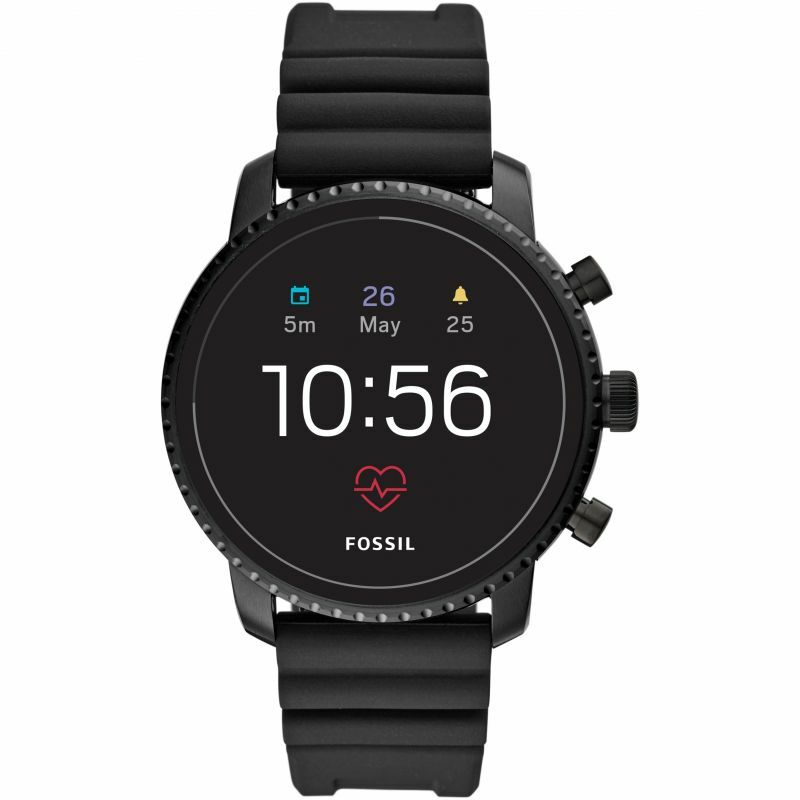 This Generation 4 Q Explorist touchscreen smartwatch lets you track your heart rate, receive notifications, customise your dial and more.Smartwatches powered with Wear OS by Google are compatible with iPhone® and Android™ phones. Wear OS by Google and other related marks are trademarks of Google LLC.Touchscreen smartwatches powered with Wear OS by Google require a phone running Android OS 4.4+ (excluding Go edition) or iOS 9.3+. Supported features may vary between platforms.To avoid damage to your watch, only use with included charger. Do not use a USB hub, USB splitter, USB y-cable, battery pack or other peripheral device to charge.Smartwatch Features:Heart rate tracking will keep you motivated and on top of your goals. Whether going for a run outside or hitting the gym, you can automatically track heart rate across multiple types of exercises with Google Fit.NFC Smartwatch Payments: Buying a coffee? Hopping on the London Underground? Just hold your smartwatch to any terminal where you see the Google Pay or NFC (Near Field Communication) contactless icon, to make fast and easy payments through your smartwatch – no need to dig for your wallet.GPS: Track walks and runs via Google Fit without connecting to your phone. Your smartwatch will automatically map and track your location, distance and pace during logged workouts. Go for a distance tracked bike ride and leave your phone behind with untethered GPS.Swimproof: If you’re hopping in the shower after a workout, your watch can come with you. Spending the day poolside? Your watch can join you. Get notifications in the water, no need to towel off and check your phone! Track laps and swim workouts on your watch with a third party swim tracking app of your choice.Rapid Charging: Charge your smartwatch from 0% – 80% in just 1 hourSmartphone notifications: Be notified of important texts, calls, email and app alerts – all from your wristActivity Tracking: Automatically track physical activity and set personal goals. Track runs, bike rides, strength training and more. Integrates with Google Fit™ and other top activity tracking platforms.Google Assistant: Meet your Google Assistant. Your own personal Google, always ready to help. Just hold the power button or say, “Ok Google;”Customisable watch faces & interactive dials: There are hundreds of possible combinations of watch faces, colours and sub-dials. Customise your main watch dial and add complications to access your most used features with a tapAccess your favourite apps: Download your most used apps onto your smartwatch using the on-watch Google Play Store, or using the Wear OS App on your smartphone.